Price Compare is a premium WordPress theme for affiliate marketers promoting products from Amazon, CommissionJunction, etc. It provides the complete solution to develop a website that showcases a product that is available from different sources and also compare their price. This theme has built-in support for Amazon and CJ data feeds by which you can showcase thousands of products in your website within a few minutes. 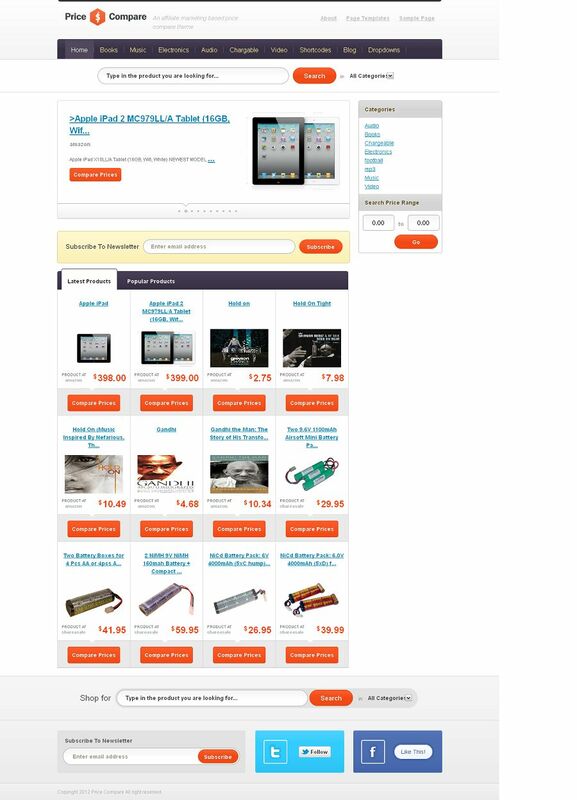 Price Compare comes with an widgetized homepage and also has a number of custom widgets. Search Price widget allows your visitors to quickly find specific products based on their price input. The options panel has got the design options to change the font, background, or link color in just few clicks.